Sure, we have all been to numerous meals prepared by our friends, co-workers and chefs. 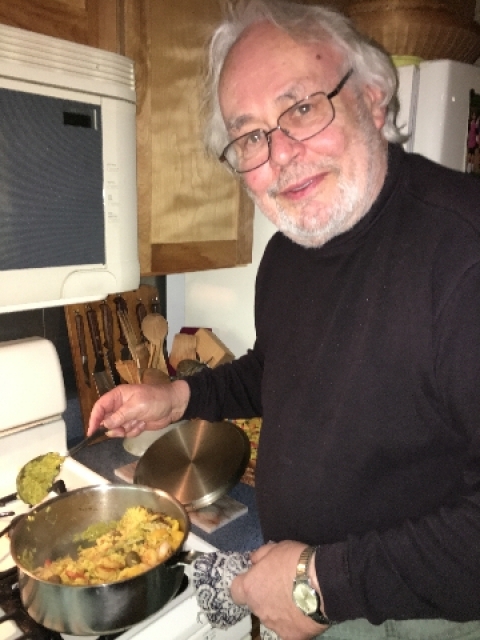 But, none, in my food career has topped the paella made and served by my BFA editor, Charles Giuliano. 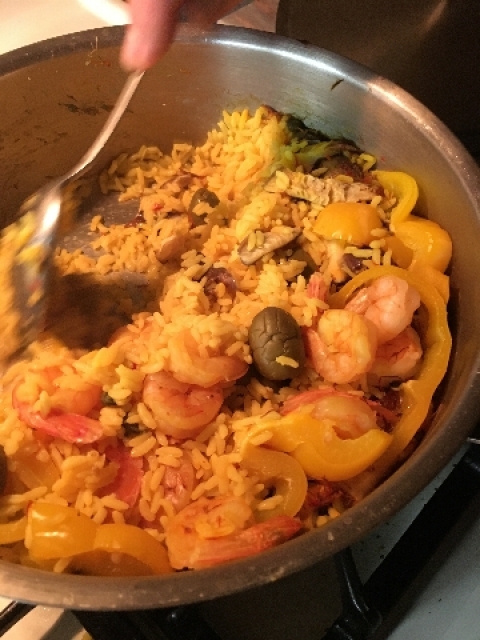 The main course, as seen in the photo, was cooked stove top and laden with shrimp, saffron rice and topped with clams. Robert, a mutual friend had three helpings. I had two and rejoice that I witnessed the coming of age of Chef Charles. With his wife, Astrid, as inspiration, he said that his next foodie adventure will be Bouillabaisse. He says that he wants to experiment before serving to guests. Of course the best Spanish saffron and fruit of the sea will be essential ingredients. Meantime Robert and I are working on our paella. We are all looking forward to another gourmet bakeoff in the Berkshires. What's not to like about a cozy evening of fine food and wine with friends.